Aluminum or Plastic. 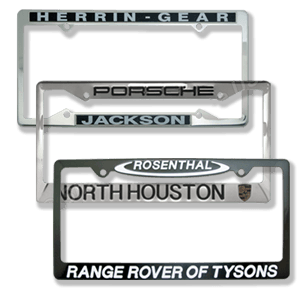 Especially great for states that take a while to issue the permanent plates. Your name will be seen all over your market area. All items are customized with your company information. 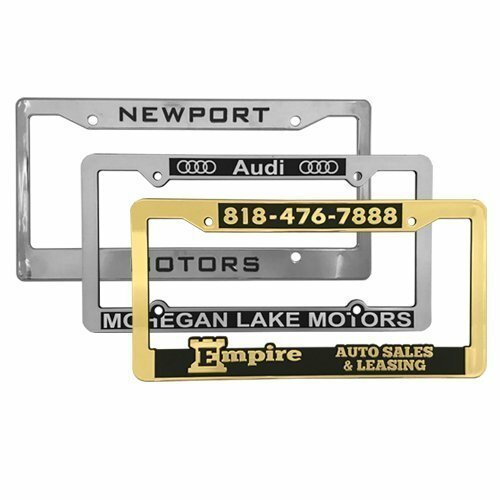 We specialize in stainless steel metal license plate / number plate frames for the US, Canada, UK, and Australia auto industry. 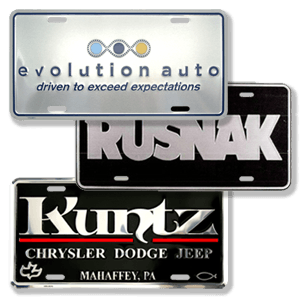 Move up, stand out and get noticed with our eye-catching stainless steel frames today!